These are most often seen in really touristy areas and when you see them you should turn around. They may look tempting especially if it is a hot day and you have been walking for hours but the gelato in those shops is typically massed produced and made with artificial ingredients. Most artisan gelato places will have the gelato in small metal containers and the gelato will be even with the top of the container or the container will be covered with a metal lid (something I found difficult when I came here and did not speak the language and therefore relied heavily on being able to see things). If the pistachio is bright green, do not go in. Bright or neon colored gelato is a good indicator that the producer is using artificial coloring. 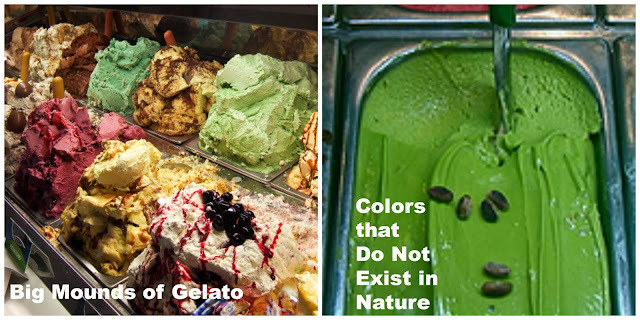 Artisan gelato producers allow the natural ingredients to give color to the gelato (at these places for instance, the pistachio will be a muted, muddy green color). 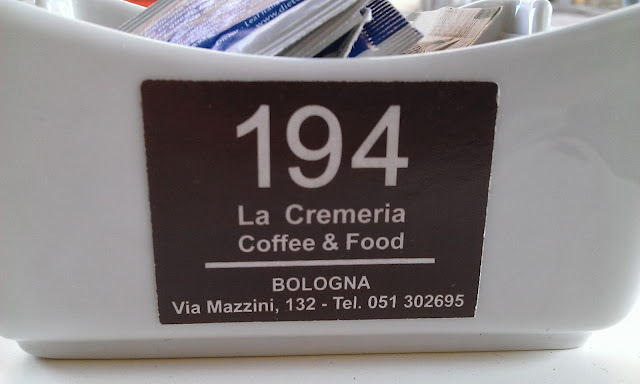 The discussion surrounding which gelateria is the best in Bologna is always a heated one. 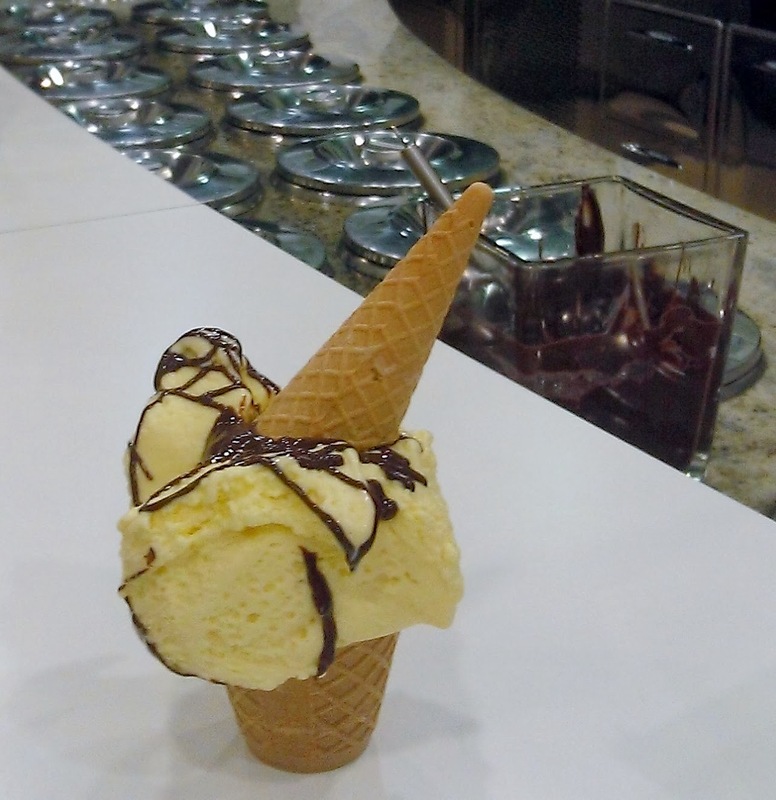 Everyone has their own opinion and reasons for why their favorite gelateria is the best. You would not believe the reasons I have heard from people, especially as to why they do not like a gelateria – the best was, “the gelato was too cold”. 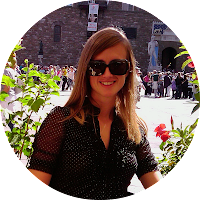 I have to admit that I have three favorite gelaterias; today, I will tell you about my favorite gelateria outside of the historical city center. The gelateria is called 194 and is located at Via Mazzini 132. Every time I go, I get the same thing: Mascarpone with Nutella. They heat up the Nutella so that becomes more like a sauce then a spread and they drizzle it into the bottom of the cup/cone (it is a cone but it is shaped like a cup) then they fill the cup with the rich, creamy mascarpone gelato and then top it with a generous drizzle of the Nutella. Yum! I have tried other flavors and they have all been good but nothing has gotten me to change my order. Reading the post and watching the pictures... I feel like I want to go for that ice cream!